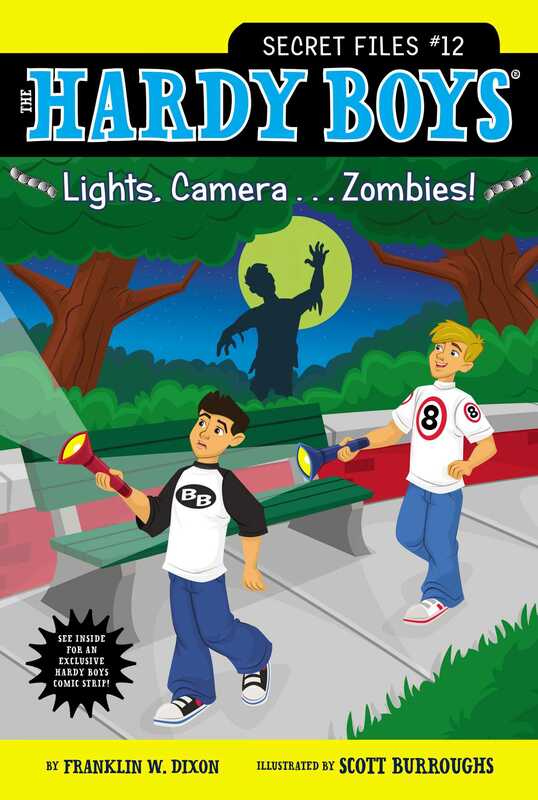 The boys track down an unusually undead suspect in this Hardy Boys Secret Files mystery. Bayport is buzzing with excitement when a film crew sets up shop to film the latest zombie flick. Frank, Joe, and their friends are really psyched that there will be fake zombies running around town—not to mention a famous director and some of their favorite actors. They are hoping for a sighting or two, and maybe even an autograph, if they’re lucky! But things get a little too real when one of the boys’ friends claims he saw an actual zombie in Bayport—nowhere near the shoot. Is someone just pulling a crazy prank? Or is the movie starting to take on a life of its own? Book Cover Image (jpg): Lights, Camera . . . Zombies!